Read previous posts by Refael by clicking on this link. 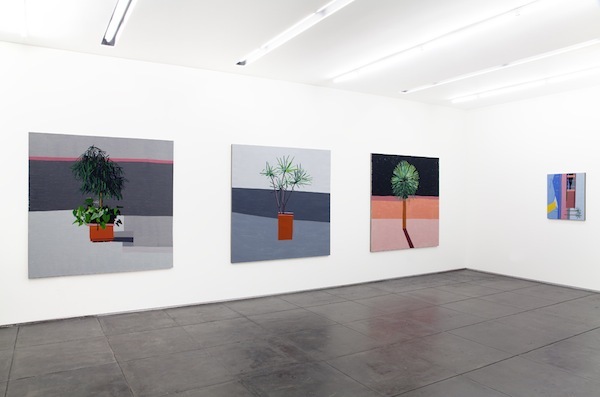 The paintings in Guy Yanai’s first show in Los Angeles, “Accident Nothing”, comprise of three different sizes, and range between square and rectangular forms. The three largest paintings present singular plants, reduced to basic lines and broad stripes in pure colors. Yanai “simplifies” the images in the paintings to their leanest formal and palette essence, and reduces them to a sheer skeleton pillar. At the same time, these works, that might seem like compositions of flat planes from a distance, are actually drawn by thick brush strokes, neatly applied on the surface of the linen, like steady pace makers of an almost mummified tableau, or a neatly raked gravel in a Zen garden. Yanai’s choice of common domestic plants, typical to lobbies and offices, and posing them in unidentified spaces, reminded me of Assaf Romano’s photographic “Plants” series, that was featured weekly in Haaretz newspaper about a decade and a half ago, as well as Asim Abu Shakra’s paintings of Sabra plants in cans. In all three cases, the plants share the quality of an almost portrait of a human that is put in a transferable vessel or an incubator, in a limbo situation, while dependent on being watered and maintained to survive. The degree of abstraction in the paintings on view varies dramatically – the smallest ones seem the least representational, and although grouply titled under “Nothing”, they all hold literal sub-titles in brackets, such as “Nothing (Drive-In)”, “Nothing (Jardin de Majorelle)”, “Nothing (Projection)” and so on. The use of horizontal and diagonal lines to motivate sort of a frozen rhythm in the compositions, might allude to the works of the classic geometric modernists, Mondrian and Albers. 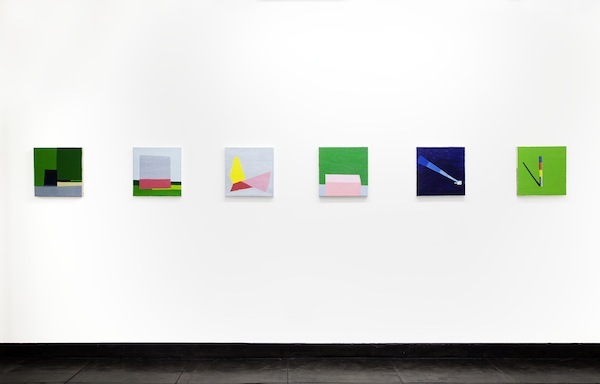 The medium sized, rectangular paintings are hung in a 90 degrees rotation, interestingly balancing between the pictorial easy-to-read imagery, and the geometric, colorful shapes that builds it’s composition. 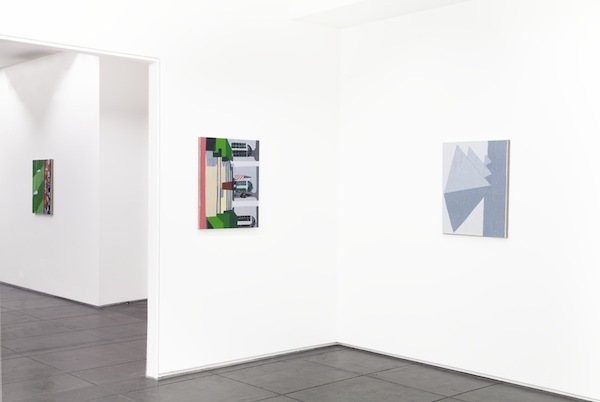 This group of paintings is based on appropriated “ready-made” images- the more detailed ones are drawn from mediating instruments as TV screens (“White House”, “Driving in Stockholm” and “I’m Loving it (Italy Losing)”, the only work in the entire exhibition with human presence), and the more minimalist ones from reproductions (“Pyramids”, “Guest & Rest House (Kibbutz Shefayim)”. The standout homage to David Hockney’s painting, “Another Splash”, avoided depicting an actual splash, emptying the vivid burst of energy, to keep a cool, remote and turned on it’s side “Dream Home”. Yanai’s aesthetics recall IPad and other digitized “Looks”, pixelated and minimized to pure color fields. 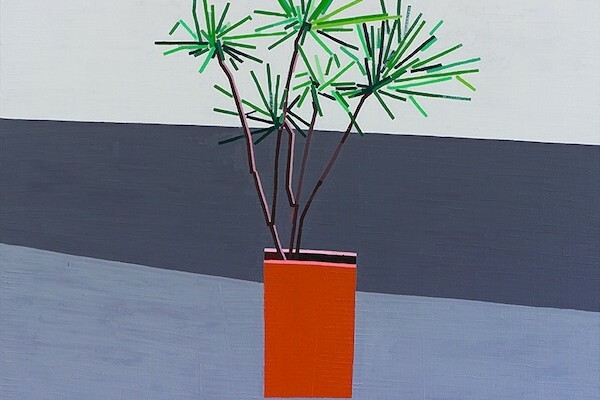 Some atmospheric resemblance to the style of LA based painter Jonas Wood is felt in some of Yanai’s paintings of the past few years, especially due to what seems to be a mutual affection for almost illustrative lines, Hockney-inspired flatness and interest in “portraits of interiors”. It might even be that Yanai makes a reference to the young American artist by situating one of Wood’s Basketball works on a library shelf in his 2012 interior painting “Living room from the outside”. 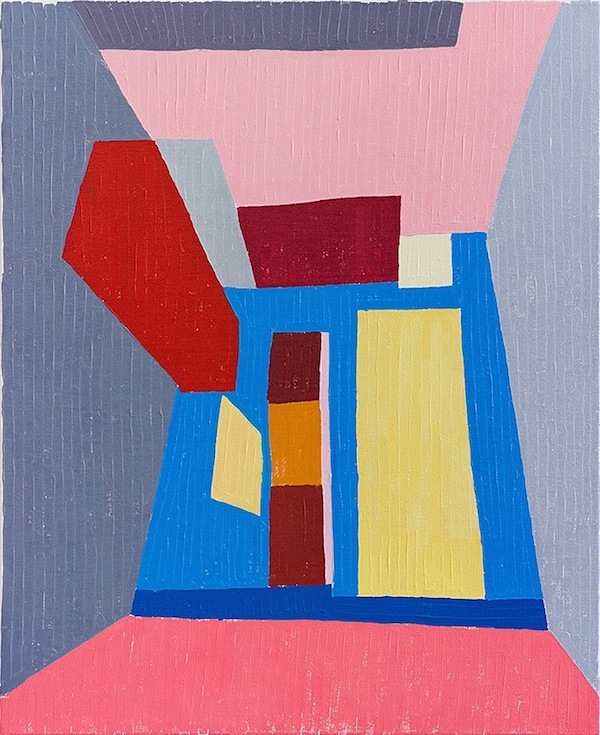 But, while Wood celebrates the festiveness of the ordinary in daily life, Yanai’s paintings vibrate with anxiety and almost sterility, they lure the viewer with their seductive colors, but keep their distance by rigid construction. 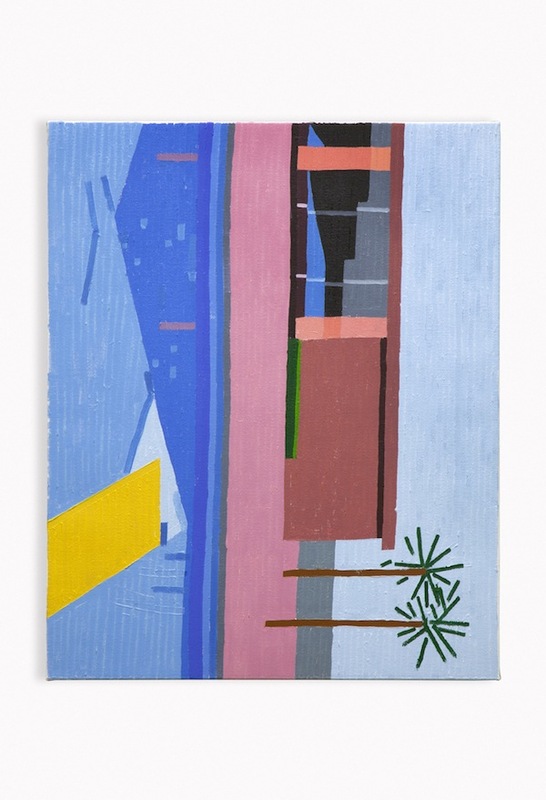 Maintaining a “Hard to get” coolness quality, Guy Yanai’s current paintings play in the grown-ups league, and leave a taste for more. 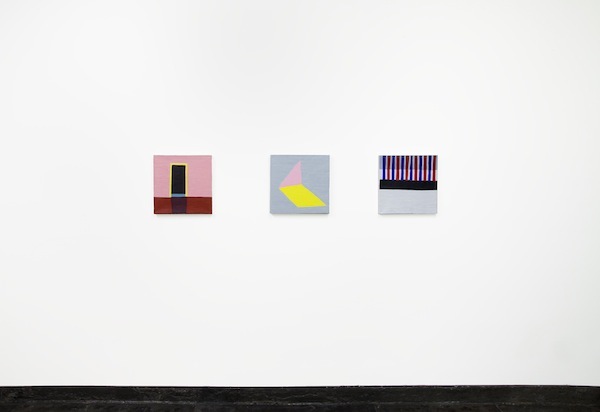 All images courtesy of Aran Cravey Gallery, Los Angeles.